Who wouldn't want a fast SSD for cheap? SanDisk's 960GB SSD Plus is just $165 on Amazon todayRemove non-product link, its lowest-ever price and a sharp drop from a list price of $270. This fast drive is an awesome deal. An SSD can give a huge speed boost to your PC, but it can be a pricey investment. That's why today's deal is so appealing. 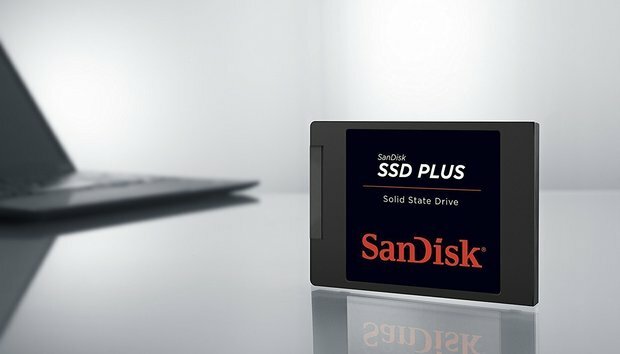 The SanDisk SSD Plus can turn your computer into an absolute speed demon. It offers sequential read speeds of up to 535MBps, and sequential write speeds of up to 450MBps. Its durable design is built to withstand shock and vibrations, and its silent performance and overheating avoidance mean you can use it worry-free. These features make the SSD Plus is a good candidate for upgrading your laptop to SSD, for instance. SanDisk also designed the drive to be easy to manage. If you want a detailed look at system performance, the SanDisk SSD dashboard's tools can help you do just that. While we haven't tried this SSD ourselves, it's a hit on Amazon, with 4.5 stars out of 5 over more than 1,200 user reviews. If you want to check out some of our favorite SSDs, take a look at our roundup of the best SSDs of 2018.